Clarence, the lovable young boy who turns even the darkest of times into happy thoughts on Cartoon Network’s show of the same name, is the star of his very own mobile game now. 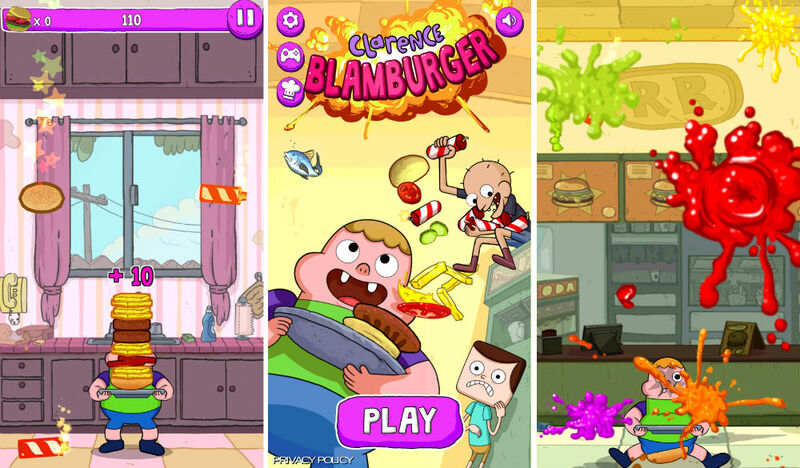 In the game, titled Blamburger, you are tasked with creating yummy hamburgers for Clarence and his friends to eat. While you can go ahead and make any type of burger you want, there are special recipes you can follow to get bonus points, unlocking new ingredients and recipes for you to try. However, be careful to watch for falling sticks of dynamite. If you get hit, you get no points for your current burger. The overall goal is create mile-high burgers made of specific ingredients. There are also shiny ingredients that speed up the fall of objects, including dynamite, which you will need to watch out for. Although, if you don’t get hit by a boom stick, you get a 4x bonus for 5 seconds. The game is fun, and if Clarence happens to be one of your guilty pleasures (I’m guilty of this), then go check it out on Google Play. It is free on Google Play and features no IAPs.